Note: A special thank you to Dr. Jeffrey Benabio for again taking time from his extremely busy schedule to share tips with TME readers! 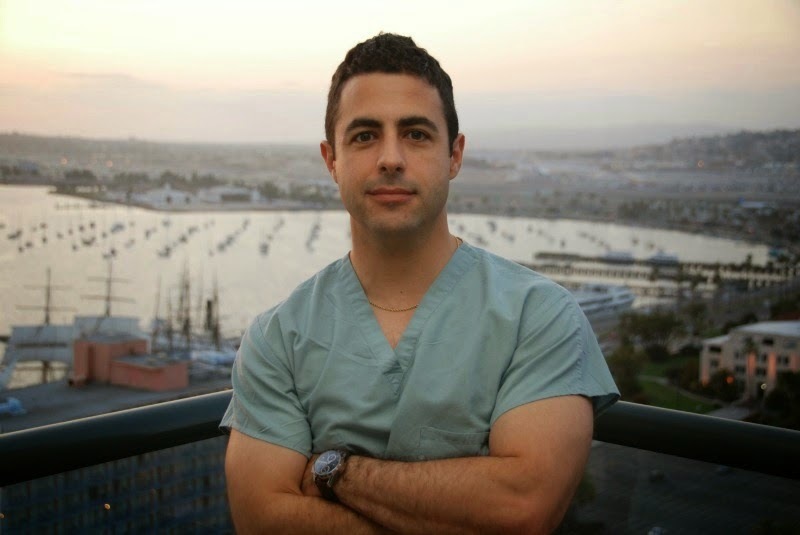 For more skin care advice, visit Dr. Benabio on YouTube! After a long and lingering winter, (Yes, it’s snowing here today March 25 – 6 days into Spring) we’re all geared up to embrace warmer weather. But, the transition from winter skincare to warmer weather skincare can be challenging and not every guy knows the healthiest way to achieve, and maintain, amazing skin. As a huge advocate for encouraging men to learn how to care for their skin and to embrace a little “luxury” time for themselves, The Makeup Examiner turned to Dr. Jeffrey Benabio for his expert advice. Dr. Benabio is Physician Director of Healthcare Transformation, Kaiser Permanente in San Diego, CA and advised on the creation of the new Dove Men+Care Expert Shave product line. In conjunction with the esteemed Doctor’s tips, TME has procured a quick “how-to” video. So read on to find out the best way to take care of your skin. And ladies, please encourage your guys to groom ‘cause seriously … is there anything sexier than a well-groomed guy? The Makeup Examiner: Is there a difference between a man and a woman’s skin? Dr. Benabio: Absolutely. For one, the obvious difference is that men have more hair, especially on their face. Men also tend to have thicker and oilier skin than women, which is why they should use products made for their skin. Their pores are also generally larger, which allows for more dirt and debris to get into the pores and makes their face more prone to acne and blackheads. What role did you play in the creation of the Dove Men+Care Expert Shave range? The new Dove Men+Care Expert Shave rage is developed in collaboration with barbers and dermatologists, like myself, who understand men’s shaving and skin needs. I worked with Dove Men+Care to develop the new shave products by offering insights and face care experience since I see guys every day and understand their skin needs and concerns. Together, we have developed the brand’s most caring shave line yet. What makes the Dove Men+Care Expert Shave range better than other men’s grooming products? The Expert Shave range is clinically proven to better moisturize and hydrate skin for the ultimate caring shave. This range was created to focus specifically on the act of shaving and the common skin care concerns that come with it, including irritation, dryness and roughness. It features products that deliver superior levels of moisturization to prepare, shave and repair the skin, before, during and following shaving. As we move away from winter and towards warmer weather, what tips can you offer the guys to protect their skin? The best advice I can give is to never stop taking care of your face. Dove Men+Care also developed a face range to help men take better care of their faces. Surprisingly, almost half of US men never use face wash or a face lotion. The Dove Men+Care face range is an easy, effective way men can care for their skin. The line is designed specifically for men and leaves skin feeling clean, smooth and hydrated. As the temperatures rise, you begin to sweat more often, which clogs pores. The Dove Men+Care Hydrate+ Face Wash gently cleanses your skin and helps replenish lost moisture and fight skin dryness. Follow the face wash with the Dove Men+Care Hydrate+ Face Lotion for advanced protection against dry skin. This lotion also has Broad Spectrum SPF 15 to prevent sun damage, which makes it suitable for everyday use. What is the perfect shave? The Dove Men+Care Expert Shave three-step approach delivers a superior shave experience. When used together, the Expert Shave regime will better care for skin before, during and after shaving. The first step is the “pre-shave” because preparation is an important step most guys don’t think about. The Dove Men+Care Expert Shave “pre-shave” products cleanse and soften men’s skin and stubble to prepare for a smooth shave. First, apply the Exfoliating Pre-Shave Scrub as it cleans and scrubs skin for a closer shave, and lifts hairs to help reduce ingrown hairs. Next, apply the Softening Pre-Shave Oil, specially formulated to soften hair and moisturize your skin to help protect skin while shaving. The second step is “the shave” and using the right shaving products can make all the difference. The Dove Men+Care Expert Shave line includes two shave creams that contain high levels of moisturizing ingredients to help protect skin during shaving, the Smoothing Shave Cream and the Total Comfort Shave Cream. The Smoothing Shave Cream’s creamy lather helps protect against irritation and leaves skin feeling soft and hydrated. The Total Comfort Shave Cream is the richest, most protective Dove Men+Care shave formula designed especially for drier skin. It softens hair on contact and provides smooth razor glide. The third and final step is the “post-shave” because even the best shave can be tough on your face. The Dove Men+Care Expert Shave Intense Post-Shave Balm helps rehydrate and soothe skin quickly to help relieve shaving irritation and is clinically proven to help skin repair after shaving. What is a “must-do” for guys to protect their skin? In terms of shaving, a “must-do” for guys is preparing your skin pre-shave and caring for your skin post-shave. Because you’re dragging a blade across the skin of your face, you want to do everything you can to prepare and soften your stubble with products because a superior shave is not about that hardware, it’s more about the software (a.k.a. the products you use on your skin.) For post-shave care, you want to use a product that doesn’t contain alcohol, as it can cause irritation. Follow up your shave with a soothing balm that rehydrates skin. Note: A special thank you to Dr. Jeffrey Benabio for taking time from his extremely busy schedule to share tips with TME readers! 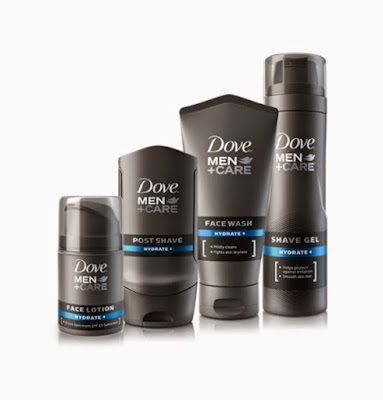 The entire Dove Men+Care product line is available at Dove Men Care and select retail locations.